"Around 100,000 cultural objects of global importance, including 4,500 archaeological sites, nine of which are included in the World Heritage List of ... UNESCO, are under the control of the Islamic State ... in Syria and Iraq," The profit derived by the Islamists from the illicit trade in antiquities and archaeological treasures is estimated at U.S. $150-200 million per year," he said. "The main center for the smuggling of cultural heritage items is the Turkish city of Gaziantep, where the stolen goods are sold at illegal auctions and then through a network of antique shops and at the local market," [...] Churkin said jewelry, coins and other looted items are brought to the Turkish cities of Izmir, Mersin and Antalya, where criminal groups produce fake documents on their origin. "The antiquities are then offered to collectors from various countries, generally through Internet auction sites such as eBay and specialized online stores," he said. 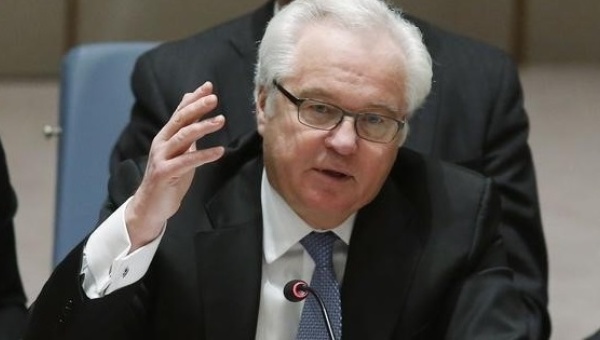 Churkin named several other Internet auction sites that he said sold antiquities plundered by Islamic State. "Recently ISIL has been exploiting the potential of social media more and more frequently so as to cut out the middleman and sell artifacts directly to buyers," he said. Those "other" sites quoted by Ambassador Churkin in a United Nations official document as being involved in this trade in illicit items with false documentation included: vauctions.com, ancients.info, vcoins.com, trocadero.com and auctionata.com. So far, I have not seen their reaction to this accusation. Where the Russian ambassador got all this information from is far from clear. Perhaps for example this is based on the work of an (otherwise unknown) Russian research group like the ASOR one. Or perhaps the Ambassador's people have been skimming heritage blogs to put together this letter. I rather think the latter is the case, this seems to be an ad hoc compilation, considering that he says that "Within ISIL, the smuggling of artefacts is organized by the antiquities division (commander: Abu Sayyaf al-Iraqi)", not actually noticing that said Abu Sayyaf has been dead (killed in a US raid) since last May. He mentions Akçakale/ تل أبيض‎ / Tal Abyaḍ as a major border crossing for ISIL, but since the June offensive, the border has been not between Turkey and ISIL, but Turkey and Kurdish-held territory. The letter therefore in several places clearly recycles old information presented as new details.